Studies estimate that about 45 million Americans smoke on a regular basis. This dangerous habit can cut your life in half by over a decade and lead to cancer or lung diseases. 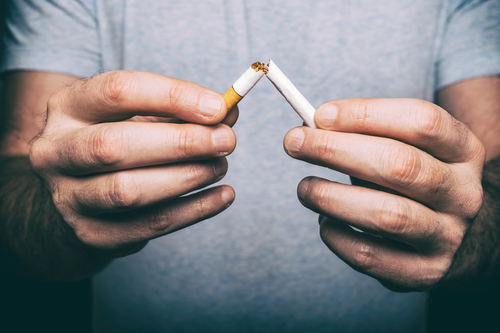 The Centers for Disease Control and Prevention says about 70% of those smokers want to quit, but few of them ever actually accomplish their goal. In fact, the people that decide to quit smoking completely with no substitute or gradual decrease in dosage have a success rate of less than 10%. Researchers are studying the possibility of e-cigarettes to slowly decrease nicotine intake and quit smoking. The e-cigarettes are recommended to be used in addition to other medication and therapy to provide the best recovery plan. As of now, ¾ of smokers who use nicotine patches or gum to quit relapse within a year. E-cigarettes may be able to provide a better alternative and easier way to help people quit smoking. When quitting smoking, it is common to slowly wean yourself off of nicotine with patches or gum. Some people use medications like bupropion or varenicline, which is a nicotine receptor block. However, these methods alone have a limited success rate, according to the FDA. The use of these methods without additional treatment or therapy is not as successful as could be possible. The combined treatment of e-cigarettes and therapy may be able to increase the amount of people who stay smoke-free. 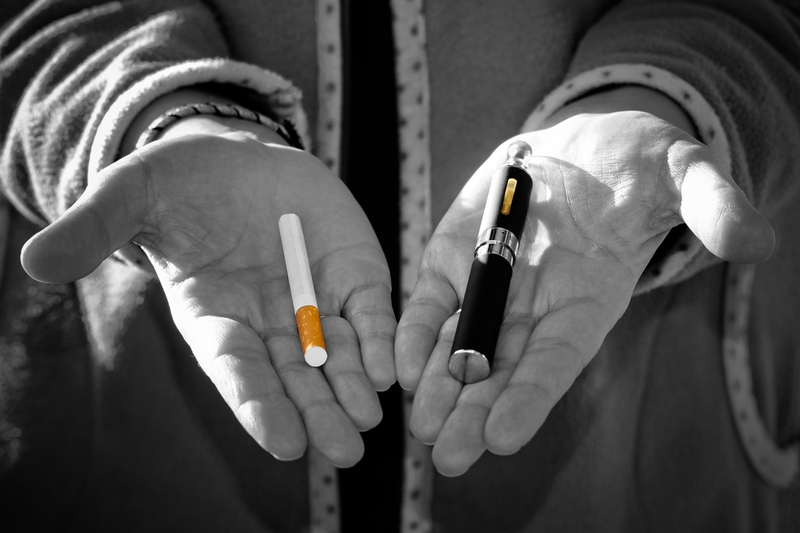 E-cigarettes may be the best solution because they can provide smaller dosages of nicotine and fulfill the desires that may have previously caused relapse. When you use e-cigarettes, you inhale a small dose of nicotine from the electronic mechanism. In fact, it is about one thousandth of the level of nicotine in a normal cigarette. There were two studies done recently on the effects of electronic cigarettes. The first took place in Italy in 2011. The first test study was with 40 participants, and out of the 9 people who gave up smoking, 6 used the e-cigarettes in combination with other recovery methods. A larger study was done using 300 smokers. 2/3’s of the quitting smokers used e-cigarettes, and they had a success rate off 23%. The second study took place in New Zealand. 657 smokers were used and, although the results are yet to be published, they hope to give information on the side effects of the e-cigarettes and the potential for usage in recovery. Some countries like England sell e-cigarettes for medical treatment of smoking. Whether or not you use e-cigarettes to quit, the best method for maintaining abstinence is through combining treatments that suit you. Hired Power can help you decide on the best recovery plan for your individual situation. The trained professionals can help guide your decisions and recovery process. Call 800-910-9299 for more information or to begin your recovery process today!